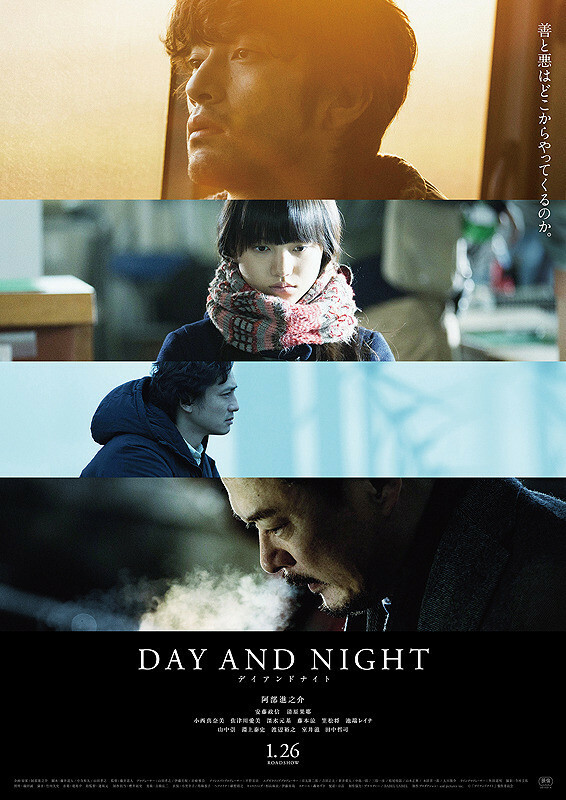 Trailer for movie “Day and Night” starring Shinnosuke Abe,Masanobu Ando and Kaya Kiyohara. The film is directed by Michihito Fujii. Popular actor Takayuki Yamada is credited as a producer and screenwriter, while lead actor Shinnosuke Abe also is credited for writing the original draft and planning. “Day and Night” will be released January 26, 2019 in Japan.